The Rwandan opposition leader of the Democratic Green party, Frank Habineza, announced his intention for standing as a candidate in next year’s presidential election. He made the announcement this weekend after a meeting with party leaders in the capital, Kigali. “I have accepted your request to represent you as the presidential candidate for the upcoming presidential election, which will take place on 4th August 2017,” he said. 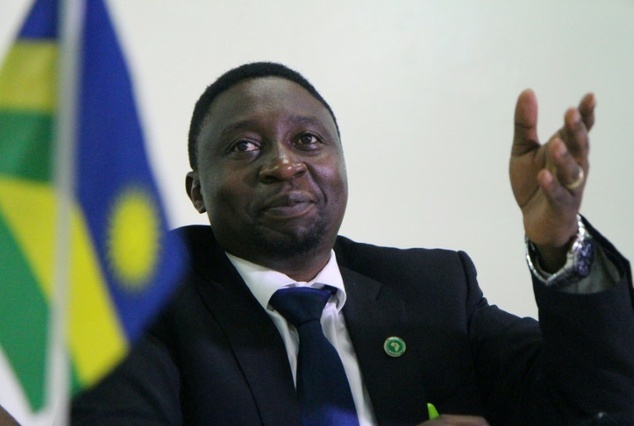 Habineza vowed that his main goal would be to establish democracy in Rwanda. Habineza will challenge President Paul Kagame. The incumbent leader, who took power in 1994 at the head of a rebel army, had previously come forward as a candidate. Rwanda’s parliament passed amendments to the constitution this year to allow Kagame to stand for re-election for another seven-year term. The Democratic Green party, which is tiny and has no seats in parliament, had attempted to block the constitutional amendments but its plea was rejected at court. Posted by Khalid Al Mouahidi on December 19, 2016. Filed under News. You can follow any responses to this entry through the RSS 2.0. You can skip to the end and leave a response. Pinging is currently not allowed.